This simple and easy recipe is inspired by a BBQ shrimp dish I had at Mr. B’s Bistro in New Orleans many years ago. 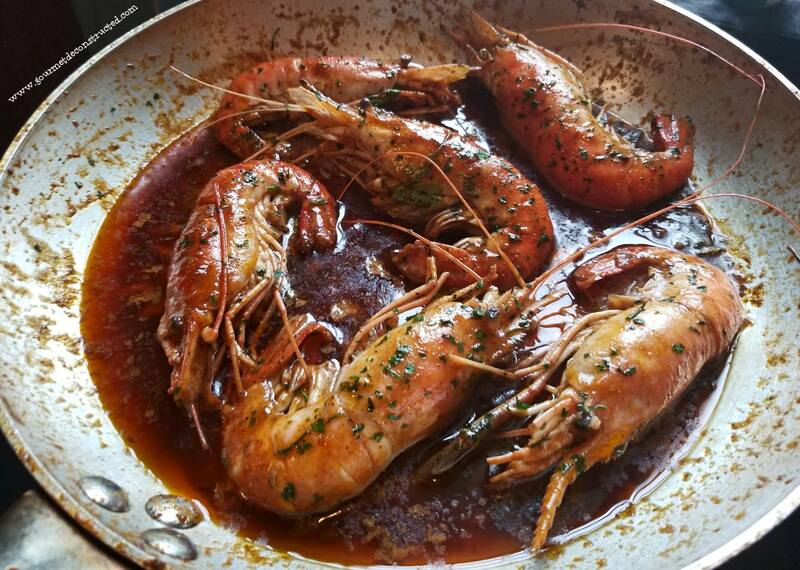 These massive prawns are tossed in a buttery Creole sauce and served with crusty french bread. It makes a great appetizer at your next dinner party! Melt 2 tablespoons of butter in a large heavy bottomed skillet over medium-high heat. Add the minced garlic and cook until fragrant, about 30-45 seconds. Stir in the lemon juice, beer, Worcestershire, hot sauce, pepper, and creole seasoning. bring the sauce to a simmer, over medium heat until the sauce is reduced by half. Add the prawns to the sauce and cook until done, about 2 minutes per side. Reduce the heat to low and stir in the chilled butter, a cube at a time, until it melts and creates a smooth sauce. Remove from the heat and garnish with parsley serve the prawns with crusty French bread. Posted on December 28, 2018, in Seafood and tagged BBQ Shrimp, cajun, Cajun food, Chef Justice Stewart, Creold food, creole, gourmet deconstructed, New Orleans, prawns, seafood, shrimp, Shrimp recipe, southern cooking, southern food, spicy shrimp. Bookmark the permalink. Leave a comment.